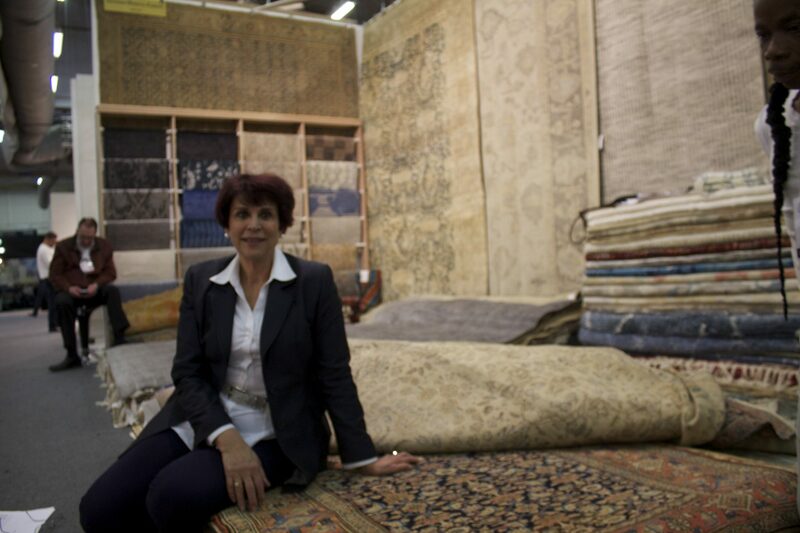 At Lavender Oriental Carpets, I got to really sit down and talk all about rugs with Lida Lavender. 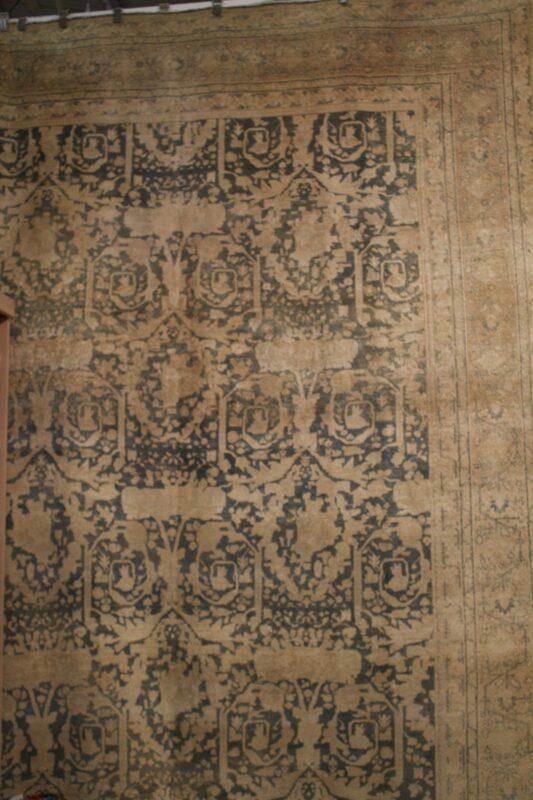 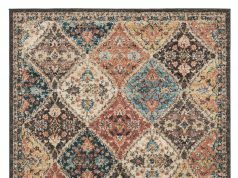 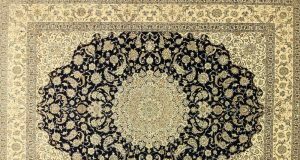 We discussed all about their featured rug, a Golfarang design, with its broken design, irregular patterns, the feel of two colors, and its appeal to everyone. 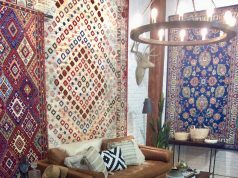 She took the time to sit and talk about her true passion for rugs, and why she loves them, the beauty and hard work each product represents. 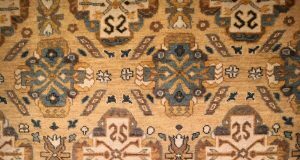 Pictured: Rug By Berber Kammlah, American Designer, wool and silk, made in India. 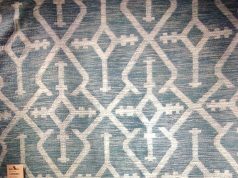 Leah Bingham blogs the markets for Rug News andDesign Magazine and rugnewsanddesign.com. 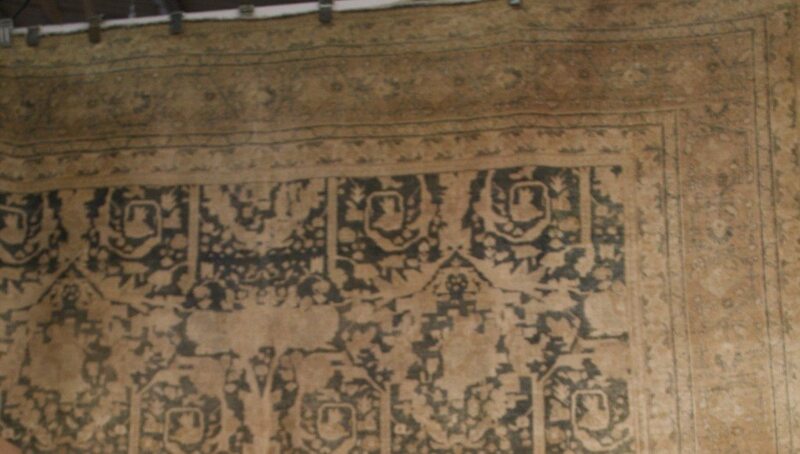 Find her posts at www.walkingthemarket.com. 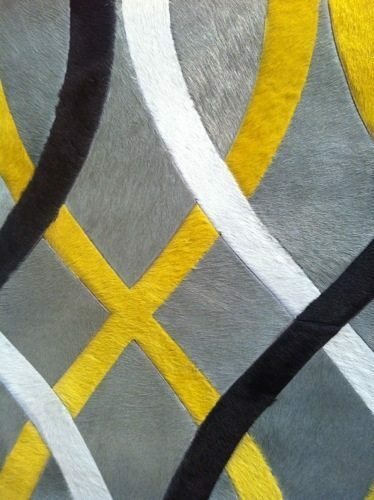 Saddlemans New Luxury Hair on Hide Rug at NYIGF. 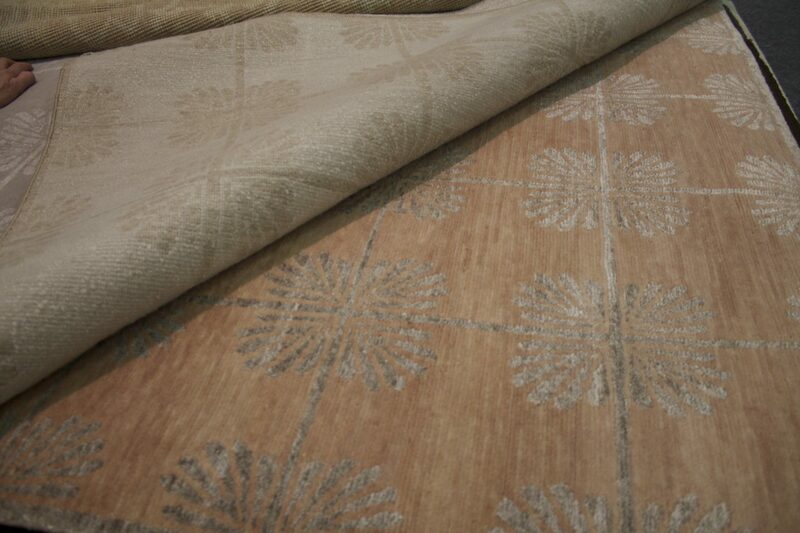 Natural cowhide with bright dyed elements.